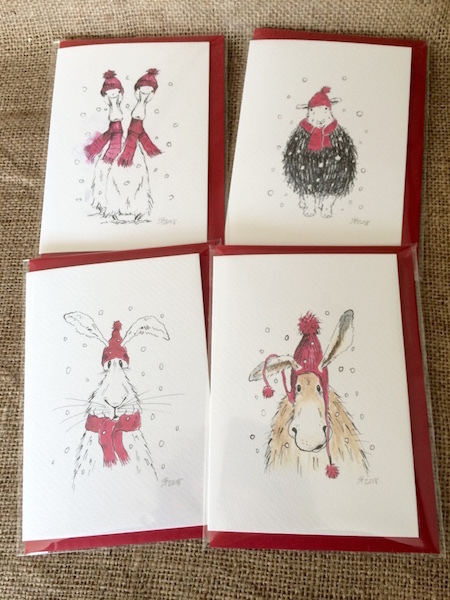 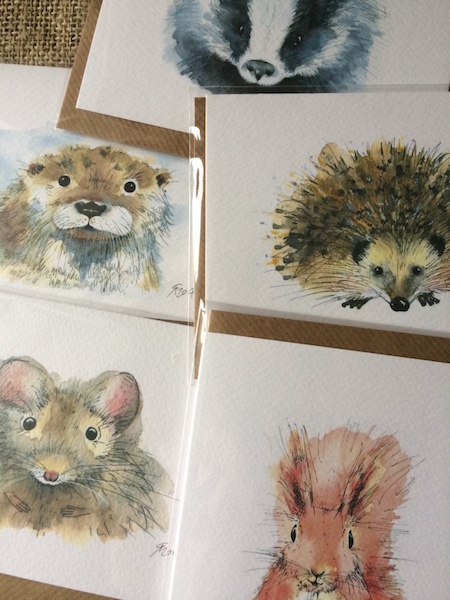 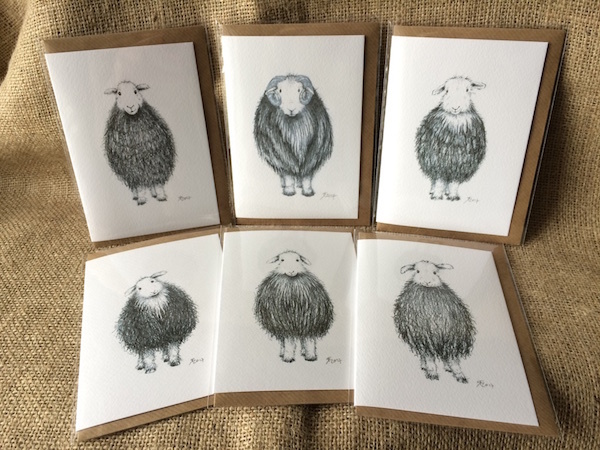 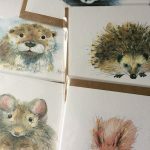 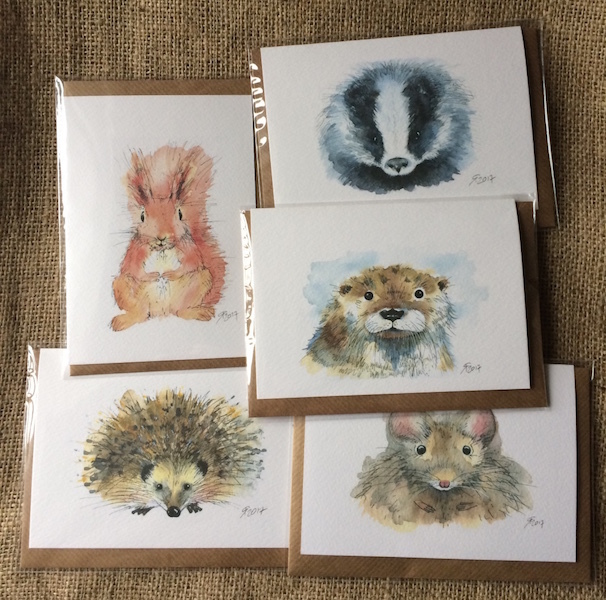 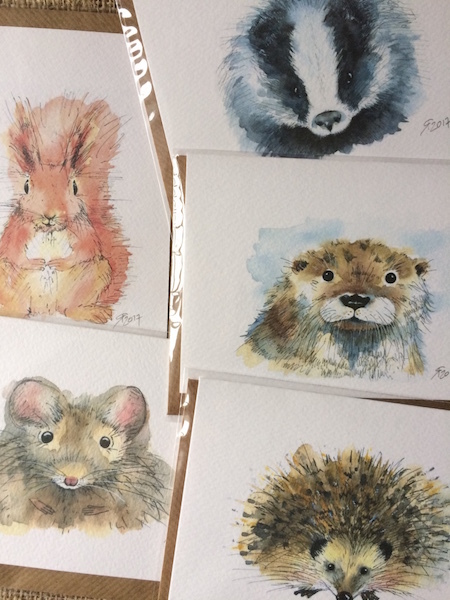 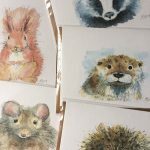 A selection of five mixed greetings cards, taken from my original watercolour and ink drawings. 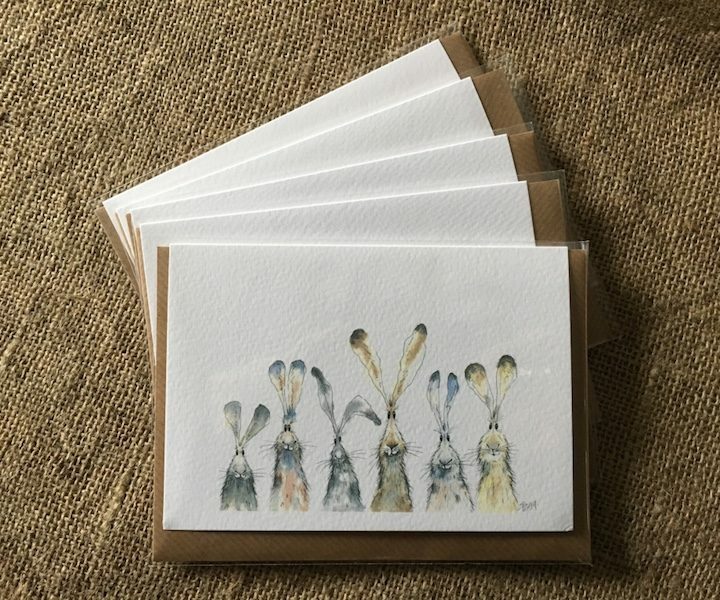 Printed at home on strong textured watercolour card. 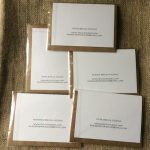 Each card is blank inside for your own message. 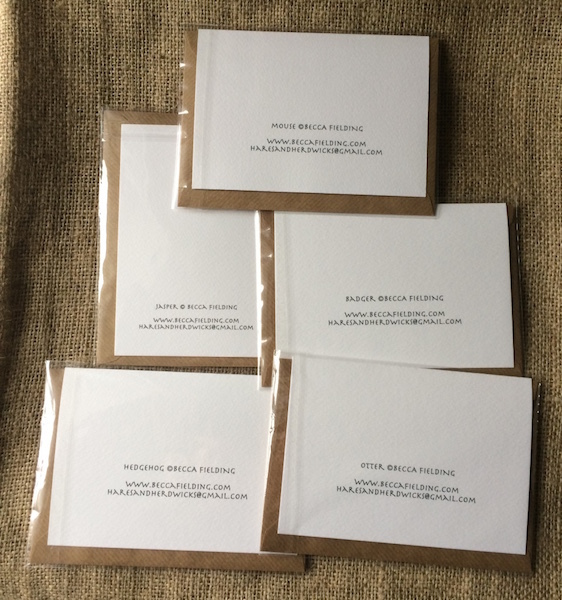 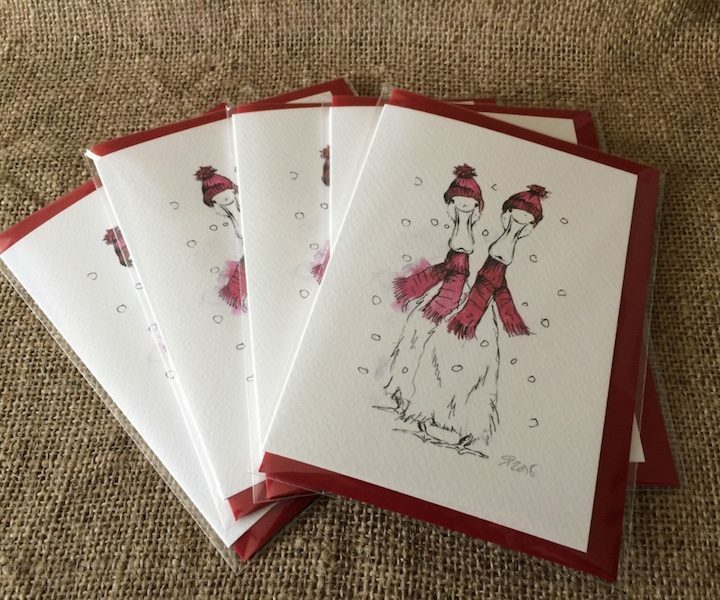 Each card is supplied inside a clear cello bag with a brown ribbed envelope.